CGSC Foundation's 'Col. Arthur D. Simons Center' opens at Fort Leavenworth | Command and General Staff College Foundation, Inc. The Command and General Staff College Foundation conducted a grand opening ceremony for the “Col. Arthur D. Simons Center for the Study of Interagency Cooperation” April 21, on Fort Leavenworth.Located at 655 Biddle Boulevard on the Fort Leavenworth installation, the “Col. Arthur Simons Center” is a research, analysis, studies and publication center focused on interagency issues at the tactical and operational levels of war. The center is funded through the Command and General Staff College Foundation and was made possible with a generous gift of $3.2 million by Mr. Ross Perot in November 2009. The center will provide direct support to the U.S. Army Command and General Staff College in fulfilling its mission of educating and developing leaders for full spectrum joint, interagency and multinational operations. According to Chief Operating Officer Maj. Gen. (Ret.) Raymond D. Barrett, Jr., the center’s mission is to foster and develop an interagency body of knowledge to enhance education at the U.S. Army Command and General Staff College while facilitating broader and more effective cooperation within the United States Government at the operational and tactical levels through study, research, analysis, publication and outreach. The center will also promote awareness of and engagement with the U.S. Army Command and General Staff College; sponsor discourse; inform doctrine; educate; and promote development of leaders. Upon making the decision to provide a financial gift to support the center, Perot elected to name the center after his good friend, retired Col. Arthur “Bull” Simons, who led the 1970 Son Tay Raid to free prisoners of war in Vietnam. Simons also led a mission in 1979 (during his retirement) to rescue two of Mr. Perot’s employees from a prison in Teheran. The Col. Arthur D. Simons Center is operational now, but is continuing to organize and hire personnel to assist in its operation. 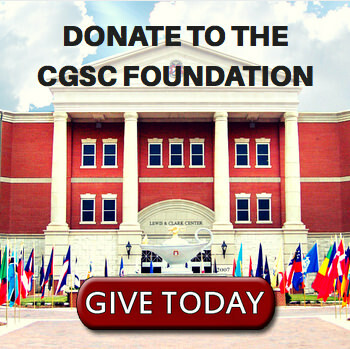 The CGSC Foundation was established December 28, 2005 as a tax-exempt, non-profit private corporation. In addition to major programs like the Col. Arthur D. Simons Center, programs supported by the Foundation include awards for the students and faculty, support for symposia, conferences, lectures, and community outreach activities that help connect the American people to their Army. 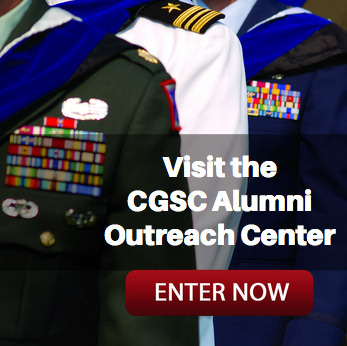 To learn more about the CGSC Foundation and its mission to support the education of leaders for the 21st Century, visit www.cgscfoundation.org.